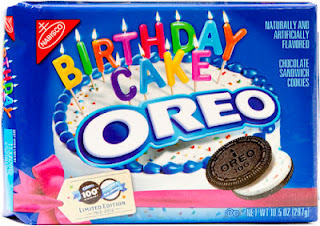 is a shamrock shake and some birthday cake oreos! and I can't find either of them anywhere!! I'm not too worried about finding a shamrock shake before the end of March because honestly we haven't looked too hard. These oreos are nowhere!!! Did they stop making them already? Does anybody know?! Birthday Cake oreos? O..be still my heart! Those sound so fab, but I have never seen/heard of them. Let me know if you find some!!!! I haven't seen the Oreos, but I got a Shamrock Shake last night at the McDonald's on Stage in Bartlett. It was deeeeeeeeelicious!